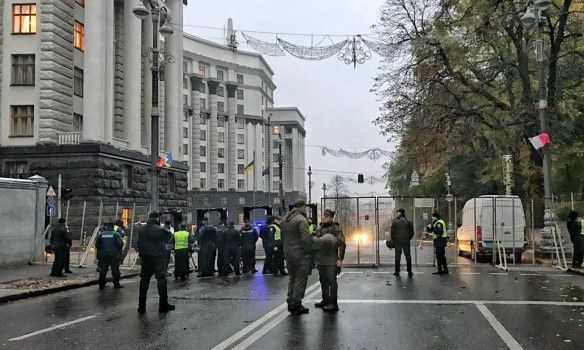 The streets in central Kyiv, where the Verkhovna Rada and the Presidential Administration are located, have been cordoned off by law enforcers since the early hours of Tuesday, TSN Ranok TV program reported. Patrol police are on duty along the roads, while national guardsmen are seen conducting routine training in the courtyards. The city administration has issued a statement banning all traffic, including public transport, in the city's central streets. 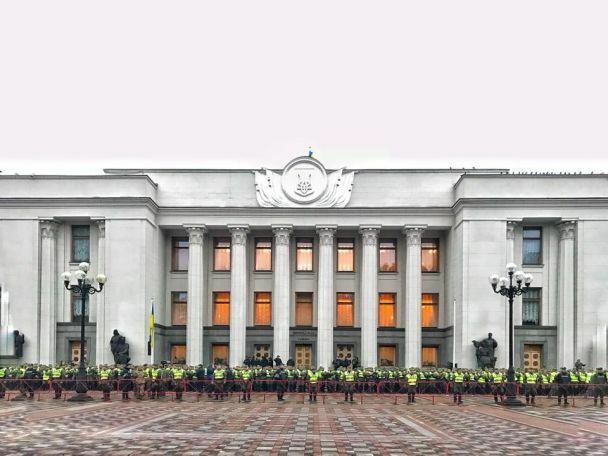 Some 500 national guardsmen and police have been deployed outside the Verkhovna Rada premises. There are also metal frames, people are checked for weapons and dangerous substances. Read alsoBrussels to continue dialogue with Ukraine on possible violations of minority rights based on Venice Commission’s opinionChief of the Kyiv National Police Department Andriy Kryschenko said that, according to various estimates, up to 10, 000 people are expected to attend today's rally outside the Verkhovna Rada. He also noted that there have been no riots or provocations in the government quarter so far. 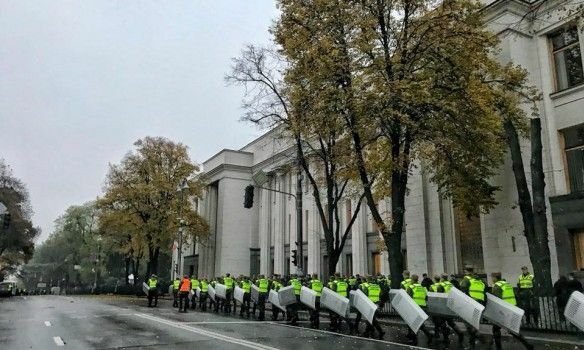 Read alsoSaakashvili seeks political asylum in Ukraine – lawyerAs reported earlier, today the leaders of several political parties and public organizations announced a large-scale rally in support of Ukraine's political reform. Behind the rally stand the "Rukh [Movement] of the New Forces" of Mikheil Saakashvili, Alternativa, "Demaliance", Chesno NGO, Yulia Tymoshenko's Batkivshchyna, Samopomich, and other organizations.